Everyone in our family enjoyed this, from our 2-year-old all the way up to mom and dad. 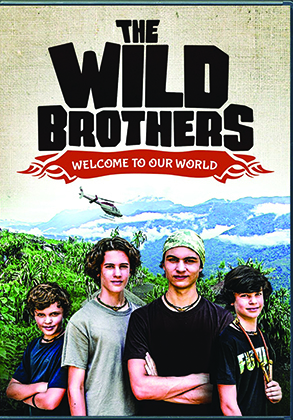 The Wilds live in the deep jungles of Papua, Indonesia, where dad is a missionary to the Wanu tribe. The four Wild brothers are the sort of boys who collect pets in their pockets, and who love to explore the jungle with a butterfly net in one hand and a slingshot in the other. In this, the first of their three DVDs, we get introduced to the family, but more to the point, the boys introduce us to God’s creation. So we go hunting with them, we’re introduced to their best friend Pu, and we get to watch their facial expressions as Pu introduces them to a local delicacy, raw echidna brain. A fun extra is the boys skinning a ten-foot python that even after it has been dead for an hour is still moving! No cautions to note. It isn’t clear what denominational background the family is from. However the Christian reflection the boys and their parents share with viewers is thoughtful and solid. We’ve also watched and enjoyed the second in the series, called Jewels of the Jungle, where the family goes butterfly and moth-hunting, and we look forward to checking out the third. The series can be purchased at AnswerInGenesis.org or Christianbooks.com.